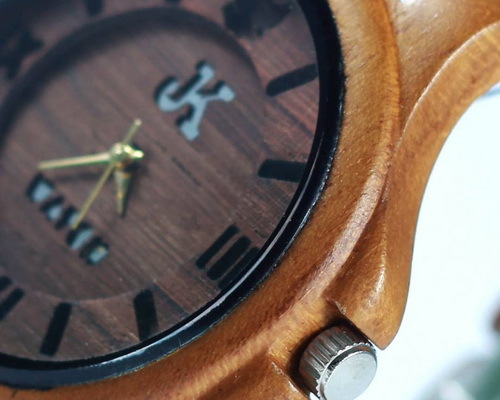 Tinuku ~ JK Watch studio showcase handmade watches Jorda series using teak wood material. Studio based in Kulon Progo, Yogyakarta, Indonesia, came up with two designs is Jorda and Mini Jorda. Watches functions as time have become part of fashion. The more unique and cool to see the watch, the make confident users. 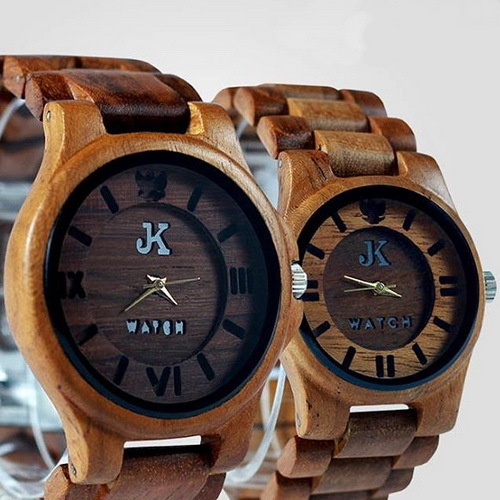 JK Watch (JKW) studio dedicates unique designs for each wooden watches piece. Creative crafts using wood to replace some of materials commonly used mainly metals and plastics for more natural lifestyle grade. 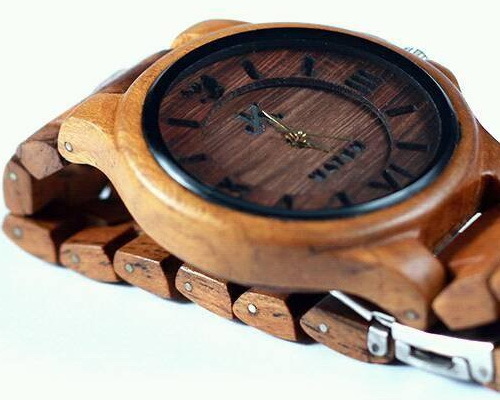 Watches featuring art of natural wood comes directly from use this type of wood. Each wood type brings distinctive character of color and tree fibers. 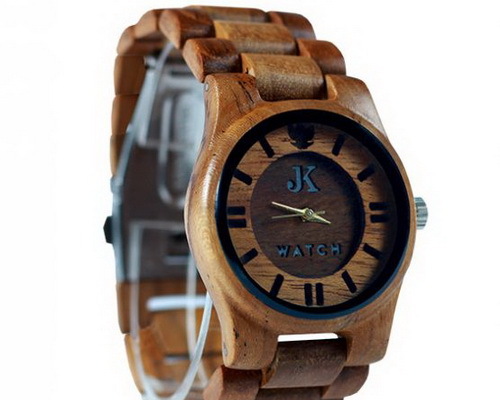 JK Watch studio often use material teak, rosewood, mahogany and Mangir. Natural tree fibers appear dominant as main accent that displays unique to each user. Raw wood specially selected to present work of quality in timber craftsmen roots in Kulon Progo, Yogyakarta. Two exotic design in Jorda series using teak wood combined with metal studs. 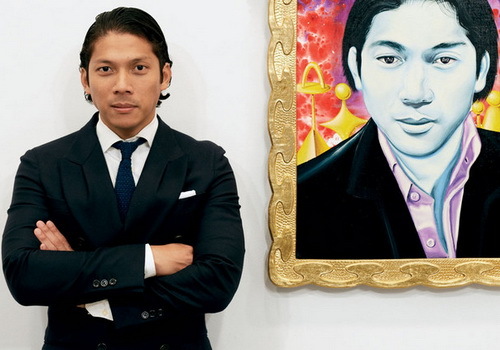 "Every concept design through experimentation to produce perfect work. 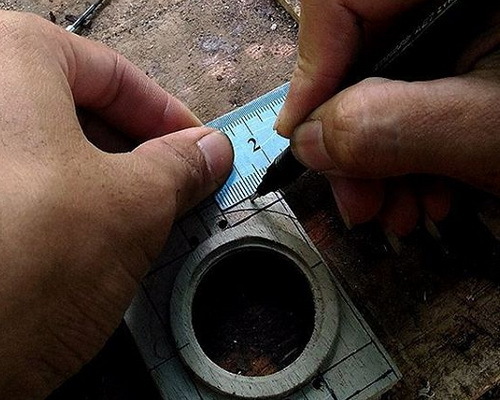 Raw wood measured and must be done very carefully," said Furqan Aziz, one of studio founders. A round head and strap made from genuine teak wood, while the lock is stainless steel and needle timepiece luxurious gold metal. Prime movers using Miyota Japan and Sony battery. Each wooden watch produces its own characteristics.